Well-placed vents and automatic powered fans keep your home interior comfortable and your shingles in mint condition. If you’ve never really thought about your roof ventilation system, you aren’t alone. Many Indianapolis homeowners overlook this component of their roofing installation. If you’re planning to replace your roof, however, it’s important to understand this key feature so that you can get the most value from your home improvement. Explore the many benefits of roof ventilation below, or contact Cochran Exteriors to have all your questions answered during a free, no-obligation roofing consultation today! Prevents hot air from getting trapped inside, reducing the demand on your HVAC system. Allows the roof surface to remain cold during the winter, preventing snow from melting and causing ice dams. Helps maintain a more stable and comfortable interior temperature. Reduces the strain on your roof shingles, extending their expected lifetime and performance. Ridge Vents: Ridge vents are installed along the roof peaks, allowing rising hot air to escape. Ridge vents are typically installed under shingles for a seamless look. 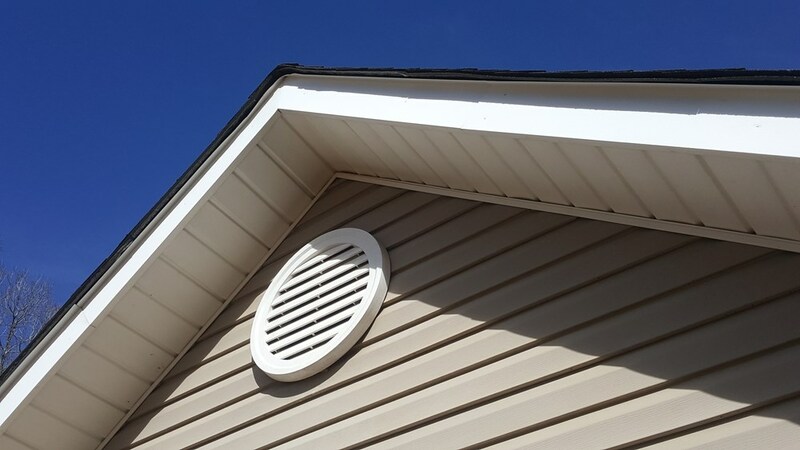 Soffit Vents: Located on the bottom of roof eaves, soffit vents allow cooler air into your attic to replace the warm air escaping through the ridge vents. Gable-End Vents: Gabled-end vents are highly versatile in that they allow cool air in as well as warm air out. Powered Attic Ventilators: For homes that do not have adequate vents, powered attic ventilators can do the bulk of the work by using an electrically powered fan to push warm air out. Roof ventilation plays a significant role in determining the overall lifetime and energy efficiency of your roofing system, and it’s worthwhile to have a discussion about this feature with your trusted Indianapolis roofing contractor before doing any work on your roof. For expertise in roof ventilation of every kind, contact Cochran Exteriors today! We have background-checked, drug-tested, and factory-certified roofers ready to find out more about your home and help build the perfect roof ventilation system for you. Get started with your free in-home estimate now by calling or filling out our quick online form.